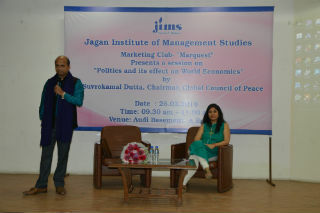 “Marquest” the marketing club of JIMS organized a guest session on politics and its effect on world economies on 26th March, 2018 for PGDM, PGDM-IB and PGDM-RM students to understand the global business environment. 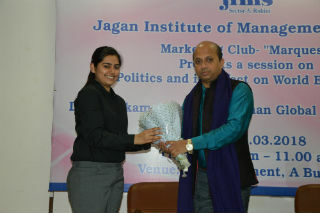 The speaker for this session was Dr. Suvrokamal Dutta (Chairman global council for peace) who is also a leading political and foreign policy expert with various national and international news channels. 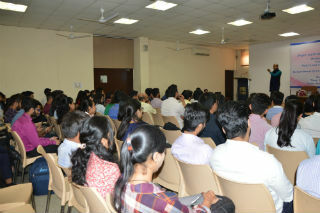 Dr. Dutta discussed briefly about the historical background about the world politics and how power shifted from UK to USA, how Asian countries like India, china and Japan emerged as leading world economies highlighting the policies made by Jawaharlal Nehru during his tenure and various bold steps like GST and demonetization taken by the current Prime Minister. 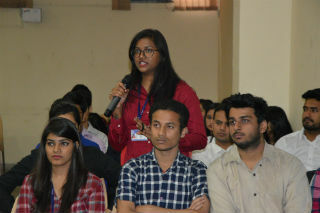 Overall it was a very interactive session where students also shared their views regarding current political and economic scenarios across the world and what steps should be taken to build a better economic environment.